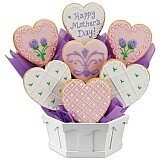 Show her how much you care with a Mother’s Day delivery like no other. 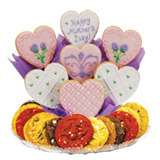 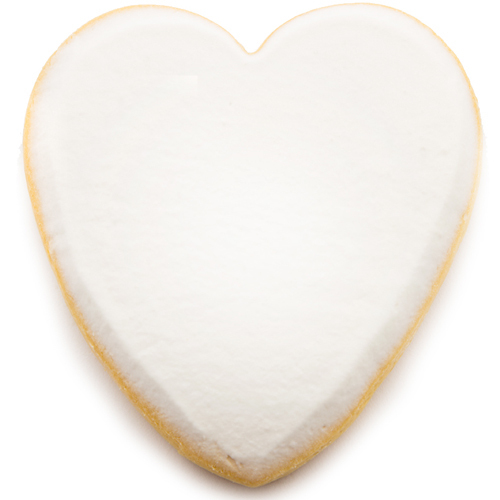 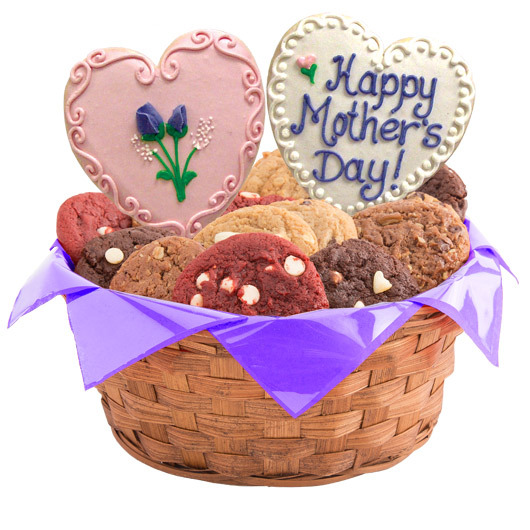 This Mother’s Day basket is filled with a selection of one or two dozen gourmet cookies and choice of one or two beautifully hand decorated sugar cookies. 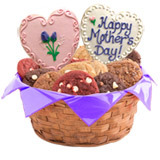 She will think of you and thank you with each and every delicious bite! 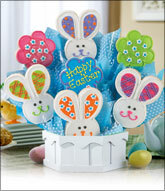 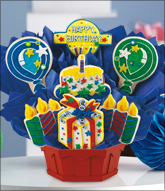 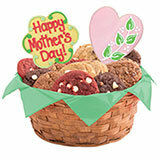 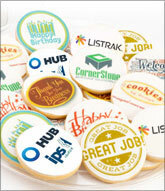 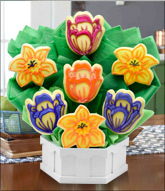 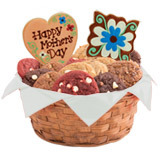 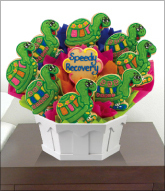 This Mother's Day basket can be ordered with one or two decorated cookies on sticks and one or two dozen gourmet cookies.